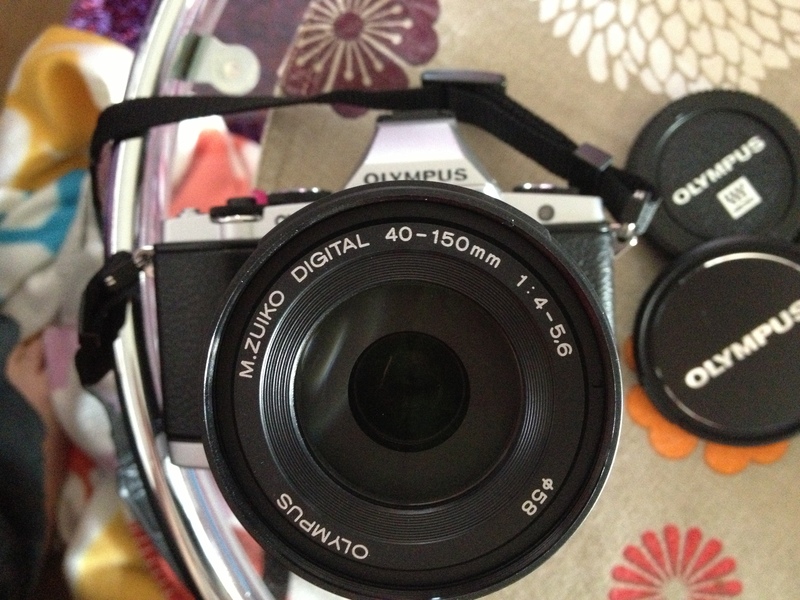 Olympus OMD EM5 micro four thirds camera – I love this camera. It’s small and light, which means it goes with me wherever I go. The image quality is great and it does a wonderful job of capturing colour. M. Zuiko 17mm f/1.8 prime lens – this is almost permanently attached to my camera. It’s small, can shoot wide open and produces pretty nice images. It’s a 35mm equivalent if you’re talking full-frame cameras. It’s been my go-to lens. M. Zuiko 45mm f/1.8 prime lens – wow, what a beautiful lens. It’s my newest addition and it’s stunning. It might become my go-to lens. M. Zuiko 60mm f/2.8 macro prime lens – what a superb lens. It doesn’t see as much action because unless I’m doing macro, I have to get a long way from my subject. However, for portraits, it is exquisite. M. Zuiko 14-42mm zoom (kit) lens. This lens is pretty good, but not the quality of my 2 prime lenses. M. Zuiko 40-150mm zoom (kit) lens. Not as good as the primes, but still good for zoom. Hot shoe kit flash – I don’t use this very often either, but I do know that I need to learn more about shooting with flash! Of course, I would be LOST without my iPhone 6 and my iPhone 5s (work phone) which are almost always with me. I took the header image on this page with my old 4s. I don’t carry the zoom lenses as a rule, unless I think I will need them. I find that I can cover most things with my 3 primes, and they are lovely. I viewed about five or six videos on YouTube about your camera and some of the lens you can use with his four thirds camera. Everything I read or viewed was awesome, albeit the price is a bit on the steep side. Amazon is selling the body for $799; with a 12-50mm f/3.5 EZ zoom lens, the price escalates to $1,299.00. Unfortunately this price range is outside of my radar screen. Anyway it’s a pleasure to enjoy your pictures. Plan to return as much as possible. Hi Omar. I am indeed very lucky to have this camera. I was at my last workplace for almost 10 years and they had a referral program there – if we recommended a new employee who was consequently hired and passed their probation period, then we received a bonus. I recommended our new imaging specialist and waited through a 6 month probation period in order to get the bonus so that I could buy this very special camera. It’s certainly more than I would have spent otherwise but I am so very happy with it, it’s easy to use, fairly compact and with the right lenses can take exquisite photos. I am so glad you enjoy my photos, I enjoy yours as well. If you have time, please join us in one of these challenges, it’s great fun and I’ve met some very talented people this way. Good for you! We were wondering what camera you used with the grass photo. This was our first chance to take a peek at that! ha! Nice story! Wow do you ever sleep! The mind of a scientist or right brain left brain type of person. LOL bedtime now. If you could see me, I’m face down on the bed with one eye open, semi-focussed on the iPad. Hi! I love my Oly too! I appreciate that you have listed your gear. I have an Oly Pen E-PM2, and recently upgraded to the Oly OM-D E-M10. It’s great to see your perspective of the various lenses. Something I will look forward to when I add to my gear. Your photographs are absolutely wonderful! Thank you so much for visiting fellow OMD-er 😊 My friend has the EM10 – it’s a beautiful camera. I’m itching to get out shooting again soon!